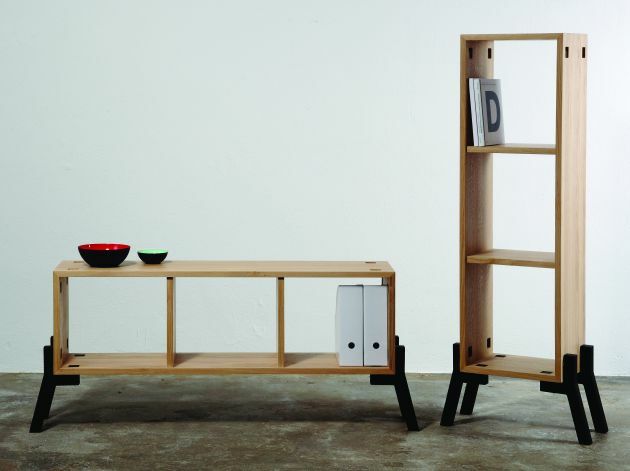 German designer Reinhard Dienes has created the Tonic Sideboard-Bookcase. 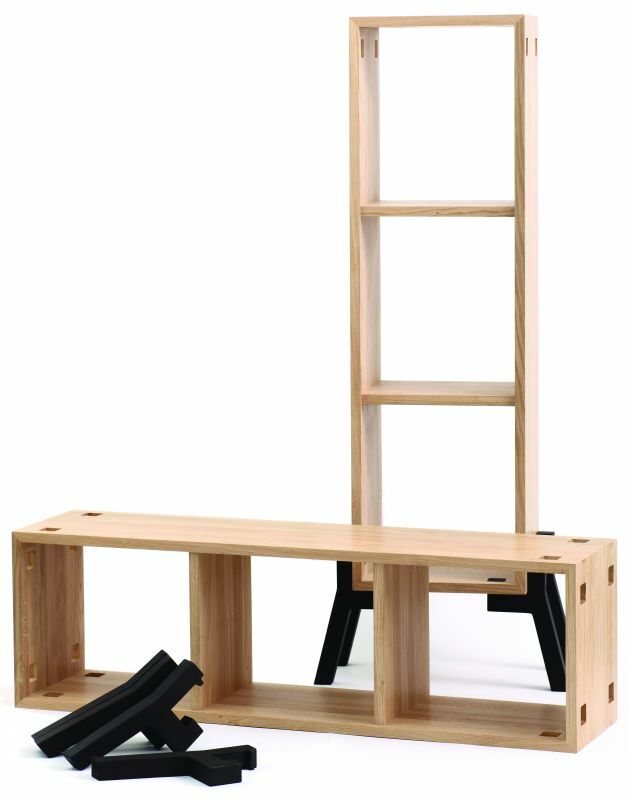 Tonic is assembled without screws or the use of tools. Tonic can be used in two different positions; horizontal as a Sideboard, or vertical as a Bookcase. To achieve this change the legs are simply taken out of the sockets and replaced in the desired position. This transformation allows Tonic to adapt itself to changing living situations and desires. 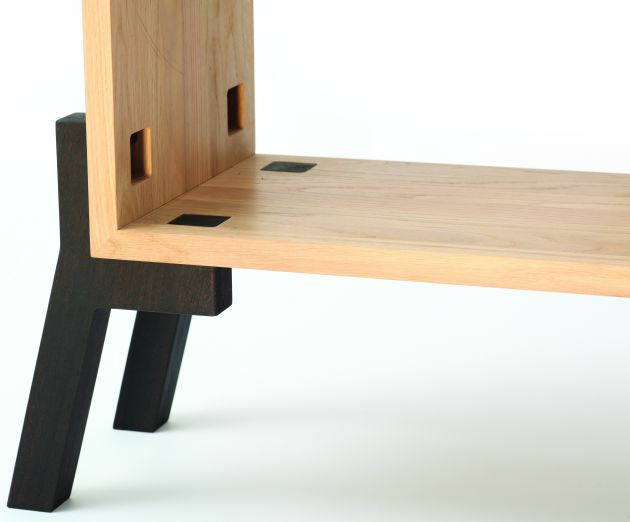 The dark legs appear to be sketched and give Tonic the self-evident charm of simplicity and lightness.